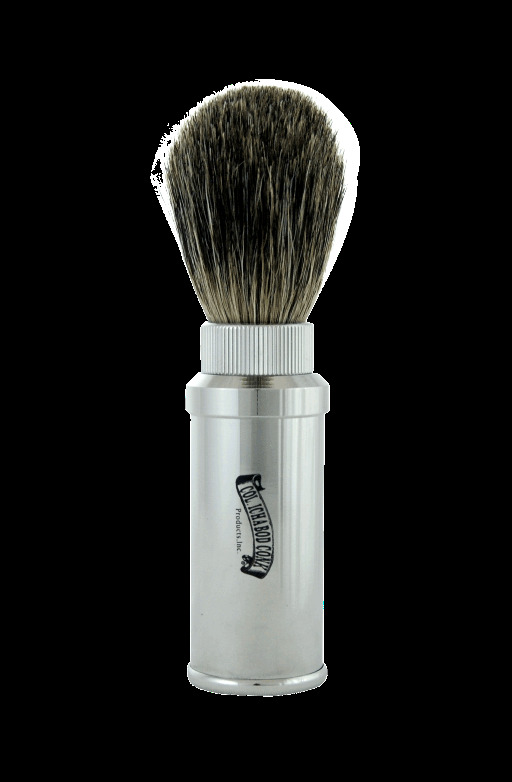 Hit the road with a stylish polished aluminum cased travel shave brush with mixed badger hair bristles.. Bristles thread into case making a man sized travel brush. Mixed Badger hair is a combination of pure and best badger hair. Bristle material: Mixed badger hair.